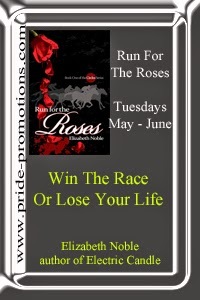 Elizabeth Noble is here today for an interview! 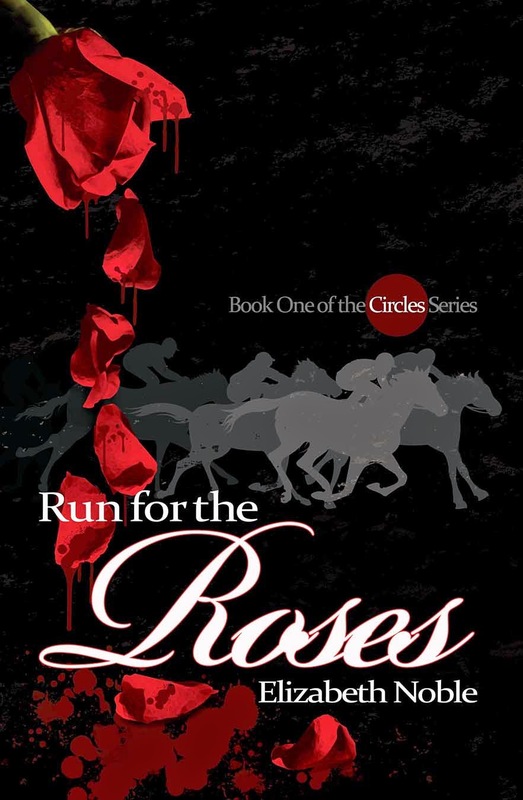 Her new book, Run for the Roses is available from Dreamspinner Press. 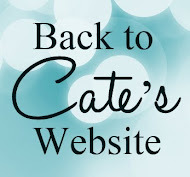 Are your characters purely fictional, or do you sample from people you’ve met in real life? My human characters are pure fiction. However one of my equine characters a draft cross is based on the horse I had when I was younger. I trialed for the Olympics on Sig, and the horse in Run for the Roses is based on him and has his name. Which one of your characters is most like you? Well, there’s the horse. But I’m guessing you mean human characters. I think Wyatt is my favorite. He’s sort of cool and reserved, but when you least expect it the guy just pops out with the funniest things to say. A writer and a jockey. Grew too tall to be a jockey. What is your greatest guilty pleasure (literary or otherwise)? Otherwise: my phone. Love my Note 3. And boots and purses. I talk out some of my scenes. Usually I stick to when I’m in the shower, but sometimes I get caught doing that at work. Really embossing when your characters disagree with each other or me!